2 phase Nema 34 bipolar stepper motor which has 1.8 degree per step for smooth motion and a nice holding torque, 4 wires, specified to have a maximum current of 4A, direct sale by manufacturer. Tips: Why the stepper motor can be widely applied into the robot? As for the motors with the same performance, the stepper motor is relatively cheaper. 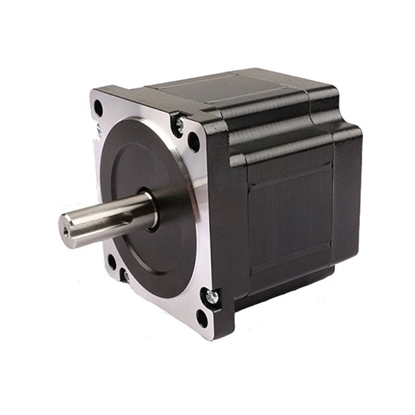 The stepper motor has longer service life than brushless electric machine, etc.. It can accurately positioned without slipping or overshoot as digital motor. Drive module isn’t linear amplifier, which means fewer cooling fins, higher efficiency and higher reliability. Drive module is cheaper than linear amplifier. There is no expensive electronic component controlled by servo for the signal directly originates from MPU. Software is safe. 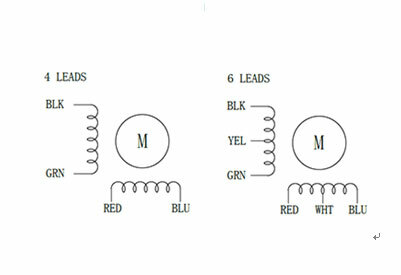 As for the step-by-step pulse about board problem, if the software cannot work or is collapsed, the motor will be automatically ceased. As for the electronic driver fault-safe, in case of being locked due to the fault in amplifier, the motor cannot run. The motor still can run and may rotate at full speed in case of faults in servo driver. Whether the velocity control is accurate and repeatable (crystal control). If necessary, stepper motor rotates extremely slowly. Due to the low-velocity torque device of stepper motor, the transmission is shorter, which means higher reliability, efficiency, smaller gap and lower cost. Just thanks to this feature, the robot is ideal for the requirement of most robots for short-distance motion is cycle period from acceleration to the low point. 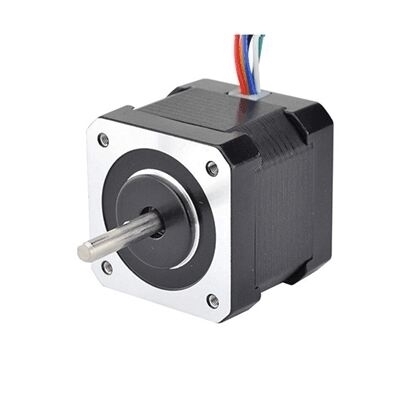 This Nema 34 stepper motor provides excellent torque without slipping. I've been using it all weekend, and so far everything is working out pretty good.